Anything you can eat, I can eat vegan. Bacon cheese balls are NO exception. 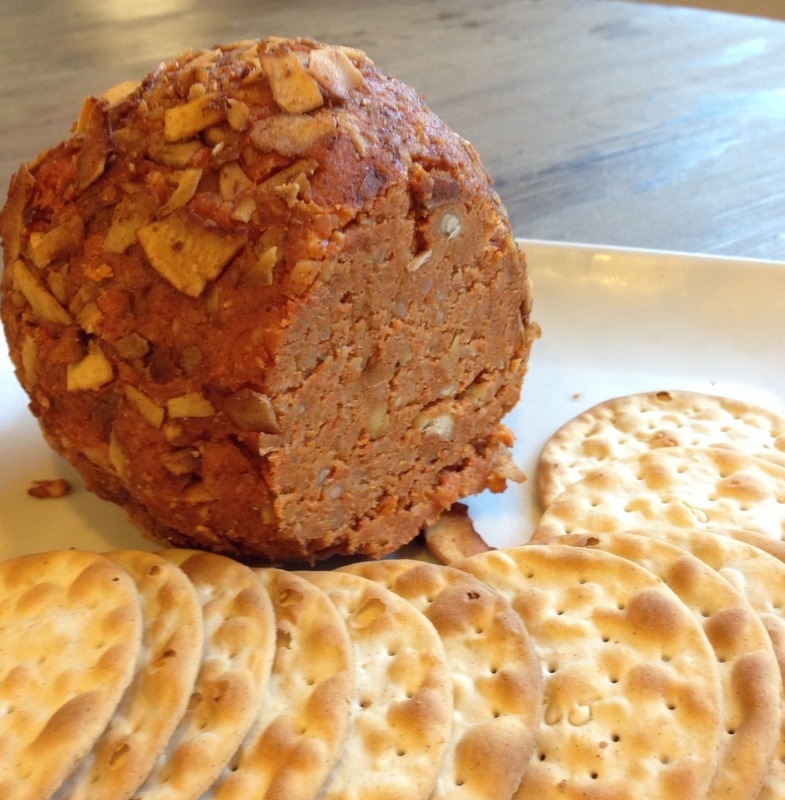 This cheese ball is perfect for a fancy schmancy wine & cheese night, or if you're a bearded man [read:Kyle], paired with a hearty porter or stout. Taste as you go! Adjust your spices accordingly. Lemon adds to the tangy-cheesy flavor, but be careful not to add too much! Add the nuts to a food processor and let it run on high until the nuts look like bread crumbs. Add the tofu, lemon juice, liquid smoke, and yellow mustard to the nut mixture. Add nutritional yeast, paprika, garlic, and onion. Let the food processor run until everything comes together in a dough. If your dough is too dry, add some olive oil. Pour coconut bacon into a bowl. Take the mixture out of the food processor and form into a ball. Roll the ball around in the bacon until the bacon is wedged into the surface. Cover the cheese ball, and place it in the fridge. This will let all the flavors settle and come together. It will firm up and become sliceable after a few hours. If you want a softer cheese, leave it in the fridge for less time. Eat with crackers or bread or with a spoon or a fork. Whatever floats your boat.